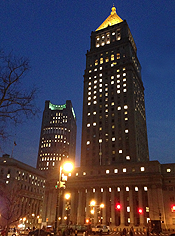 March 26, 2019 - Notice of proposed rulemaking - By this notice and the order linked below, the Court of Appeals for the Second Circuit publishes for comment proposed amendments to Local Rules 31.2(2) and 34.1, which govern the time to file a reply brief and an oral argument statement, respectively. The amendments provide that a reply brief be filed within 21 days of filing the last appellee’s brief and an oral argument statement be filed within 7 days of filing the last appellee’s brief. Click here to view the Court's order inviting comment and the proposed amendment. In accordance with 28 U.S.C. § 2071(b) and Fed. R. App. P. 47(a)(1), comments are invited on the proposed rule. Please submit comments to the Clerk of Court at 40 Foley Square, New York, NY 10007 or rulescomments@ca2.uscourts.gov no later than April 25, 2019. March 11, 2019 - The Legal Affairs Committee - is accepting applications for the Second Circuit's Pro Bono Appellate Mediator Panel. The deadline is May 1, 2019. Please refer to the Court's official announcement and application materials, which are available here. March 1, 2019 - Applications for service on Pro Bono Panel - The Criminal Justice Act/pro Bono Committee is accepting applications for the Second Circuit's Pro Bono Panel. The deadline is April 30, 2019. Please refer to the Court's official announcement here. The Plan for the Appointment of Pro Bono Counsel and the application form are available here. February 11, 2019 - Applications for service on CJA Panel - The Criminal Justice Act Committee of the United States Court of Appeals for the Second Circuit is accepting applications for service on the Court’s Criminal Justice Act Panel. For announcement click here, for application click here. January 23, 2019 - Notice to the Bar - Although an appropriation or continuing resolution funding the operations of the federal government, including the United States Courts, was not enacted by midnight December 21, 2018 the United States Court of Appeals for the Second Circuit will continue to resolve cases and controversies as mandated by the Constitution. Click here for Chief Judge Katzmann’s order. Specifically, the Court will docket new cases, receive documents for filing, determine motions, hear cases on submission and by argument as scheduled, and decide cases for the duration of the appropriations lapse. Cases scheduled to be heard during this period will go forward unless the panel for a case directs otherwise. Chief Judge Katzmann has issued an order directing that in cases in which a party is represented by a lawyer employed by the federal government, the filing requirements specified in the Federal Rules of Appellate Procedure and this Court’s Local Rules will be tolled for the duration of the lapse. The time to file will resume two business days after a budget appropriation or continuing resolution is enacted into law. For example, if on December 21, 2018 ten days had run on a party’s time to file a paper and if, on Thursday, January 3, 2019 a budget is enacted, the time to file will resume running at 12:01 a.m. on Tuesday, January 8, 2019 as the eleventh day in the filing period. Click here for Chief Judge Katzmann’s order regarding filing deadlines. In cases subject to the order, the obligation of other parties to comply with the filing requirements of the Federal Rules of Appellate Procedure and this Court’s Local Rules remains in effect. Pursuant to the order, the Court retains discretion to issue specific directions as may be necessary in particular cases. December 17, 2018 - Amendment to the Local Rules of the Second Circuit - The Court of Appeals for the Second Circuit has amended Local Rule 27.1(j), effective December 17, 2018, which governs motions. Click here for the order adopting the amendment. October 31, 2018 - Notice of proposed rulemaking - By this notice and the order linked below, the Court of Appeals for the Second Circuit publishes for comment a proposed amendment to Local Rule 27.1, which governs motions. The amendment provides that a party in a proceeding covered by Federal Rule of Civil Procedure 5.2(c) may file a motion to abbreviate the party’s name in the Court’s opinion or summary order and sets the time within which such a motion must be filed. Click here to view the Court's order inviting comment and the proposed amendment. In accordance with 28 U.S.C. § 2071(b) and Fed. R. App. P. 47(a)(1), comments are invited on the proposed rule. Please submit comments to the Clerk of Court at 40 Foley Square, New York, NY 10007 or rulescomments@ca2.uscourts.gov no later than November 29, 2018. August 10, 2018 - Chief Judge 2018 State of the Circuit Report - Click here. August 4, 2018 - 2018 Justice For All Annual Report - Click here to read the 2018 Justice For All annual report. August 1, 2018 - Notice of Fee Changes - Effective September 1, 2018, the fee changes listed below will take effect pursuant to amendments to the Court of Appeals Miscellaneous Fee Schedule, issued pursuant to 28 U.S.C. § 1913. The Fee Schedule listed on the Court's website will be updated September 1, 2018, to reflect the changes. March 8, 2018 - New Federal Law Clerk Hiring Plan - The Second Circuit is adhering to the new Federal Law Clerk Hiring Plan. Click here for the plan. February 13, 2018 - Applications for service on CJA Panel - The Criminal Justice Act Committee of the United States Court of Appeals for the Second Circuit is accepting applications for service on the Court's Criminal Justice Act Panel. For announcement click here, for application click here. 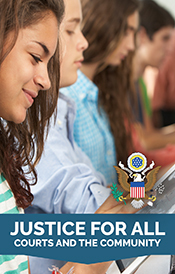 January 23, 2017 - Chief Judge Robert A. Katzmann has announced the unveiling of the website for Justice for All: Courts and the Community , the civic education initiative of the federal courts of the Second Circuit. Our mission is to increase public understanding of the role of the courts, and to bring courts closer to the community. Click here for the announcement.